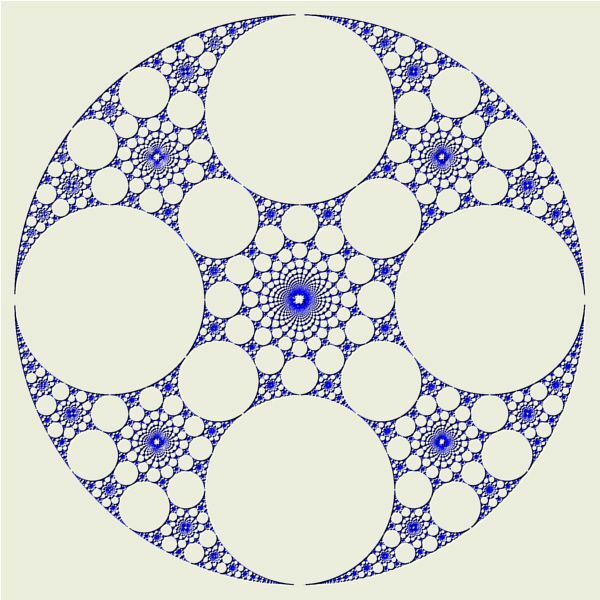 You can change the variation. 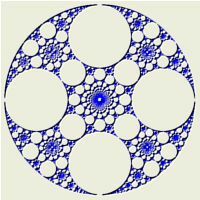 Change the Variation property to one of the predefined variations or create your own by defining a Mobius transformation. Change the Invert property to conjugate the results with the complex inversion transformation. 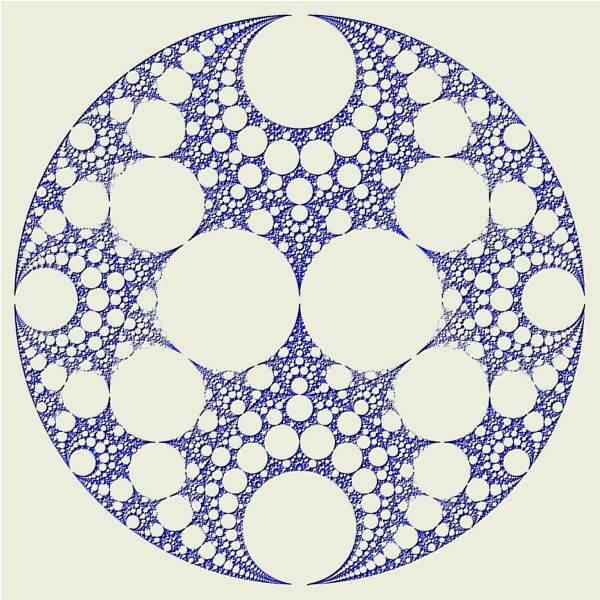 I do not recommend changing the Mobius transformations defined for Attractor 1 or Attractor 2 unless you understand the algorithm on which this attractor is based. 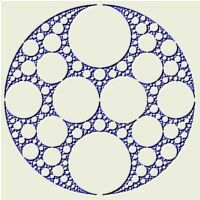 Apollonian Gasket Variations 01 applies the Identity transformation to the fractal. 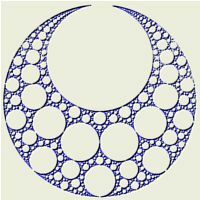 Apollonian Gasket Variations 02 applies the transformation Disc Automorphism - Hyperbolic to the fractal. 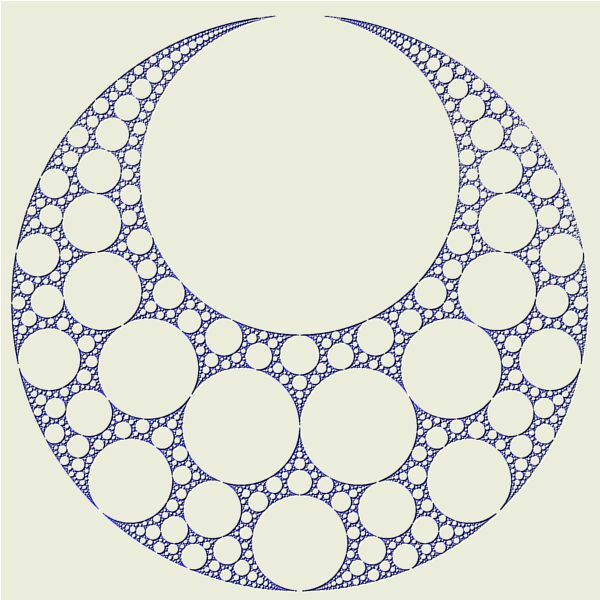 Apollonian Gasket Variations 03 applies the Identity transformation to the fractal. 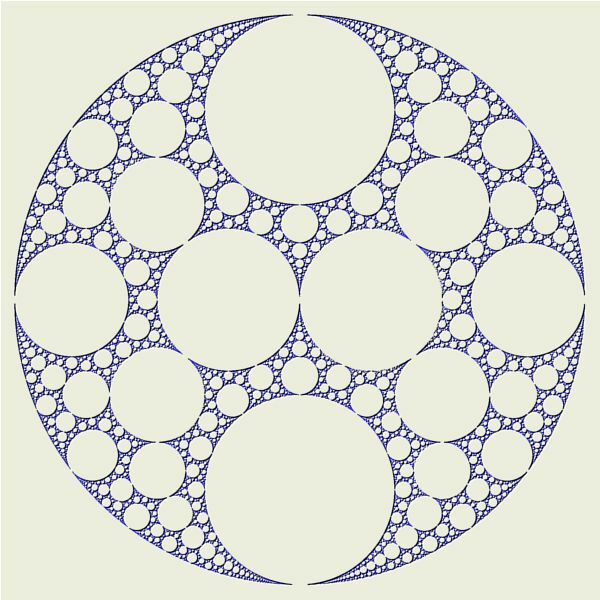 Apollonian Gasket Variations 04 applies the transformation Clip to the fractal. The Identity transformation does not alter the image. In the remaining sections, when I refer to the transformation, I will use Identity, but you should use the transformation for the example you are working with. Click the New toolbar button to add a new Identity transformation to the bottom of the list. 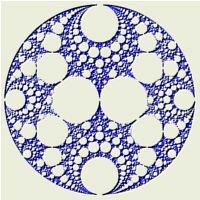 See Transformation Array for details.